Brick & Terra Cotta Cos.
View in the modeling department of the N.Y. Architectural Terra Cotta Co. 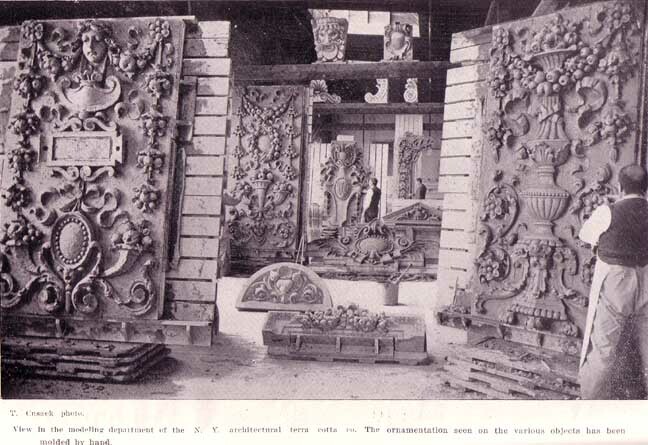 The ornamentation seen on the various objects has been molded by hand. Plate 77, p. 764. T. Cusack photo.